Bookworm Lisa~: The Matchmakers Match by Brittany Larsen ~ Blog Tour with a giveaway! 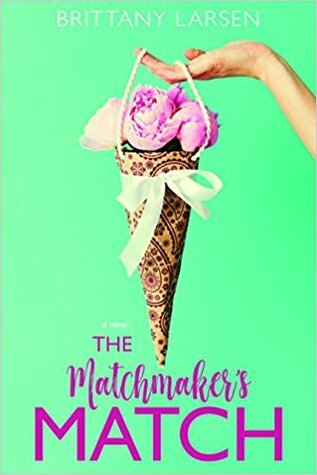 The Matchmakers Match by Brittany Larsen ~ Blog Tour with a giveaway! Book Description: Eliza Woodhouse has everything a girl could want: a delightful little beachside flower shop, a loving family, and the best friend a girl could ask for. And while she suffers a chronic lack of romance in her own life, the bohemian beauty is a self-proclaimed matchmaker extraordinaire, as evidenced by her recent successes. Having found a fiancé for her sister and a boyfriend for her best friend, she is now taking her lovelorn new employee under her wing. Yes, life is working out quite nicely for Eliza. Until Parker Knightley walks back into her life. My thoughts: This is a cute book. It is set in the modern day, but it is a retelling of Jane Austen's "Emma". The characters are successful with good intentions, but things do not always turn out the way expected. Eliza Woodhouse is a self proclaimed match-maker. Because she has had two successes, she thinks that she knows how to find someone the perfect match. Her intentions are good, but things don't work out the way she thinks they will. The characters are fun. I enjoyed Eliza, her best friend, the girl she is helping out, and Parker. I liked the pacing of the book. Nothing feels rushed, it feels like a natural progression of events. The humor is great, and the setting is also well done. There really isn't anything that I didn't like/enjoy about this book. If you enjoy a re-telling, or just want to read a good romance, you should pick this one up. It is a clean story with some kissing. 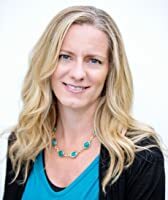 About the Author: (Taken from Amazon) Brittany Larsen may be an Idaho girl living in California, but at heart she is English. She loves all things Jane Austen and counts the time she and her husband viewed the couch where Emily Bronte died as one of their most romantic moments ever. Sadly, he has no recollection of it. When not reading nineteenth century English literature or writing her own romances, Brittany loves spending time with her three incredible daughters, Emma, Tess, and Jane, and her amazingly supportive husband, Shawn.